A high alkaline diet, comprising of around 80% alkaline and 20% acidic foods is believed by many to prevent many conditions from minor infections to cancer. The belief that an alkaline diet is so healthy is because our body’s natural pH level is slightly alkaline. An alkaline diet supports this, whereas a high acid diet puts strain on the body and depletes it of some of the alkaline minerals such as calcium, magnesium, potassium and sodium. Typical symptoms of excess acidity in the body include chronic fatigue, frequent infections, joint pain, skin conditions, headaches, digestive complaints and feeling nervous or stressed. In general meat, dairy, grains, caffeine and sugar are acidic. On the other hand vegetables, citrus fruits, and sprouted seeds are alkalising. It is also recommended that half the diet is raw, as raw food is more alkalising than cooked food. Some of the highest alkaline ‘superfoods’ are alfalfa sprouts, cucumber, onion, spinach, watercress and parsley. Some of the big ‘no nos’ on the alkaline diet are cheese, meat, potatoes, mushrooms and sugar. Some of the better grains are buckwheat, quinoa and spelt. For dairy, goats milk is safest with seed and nut milks being even more alkalising. If you decide to try an alkaline diet, there are plenty of ways to ease yourself into this new way of eating. i) Start by introducing a wide range of vegetables into your meals. Gradually increase the vegetables so that the meat becomes the ‘side portion’ rather than the main part of your meal. 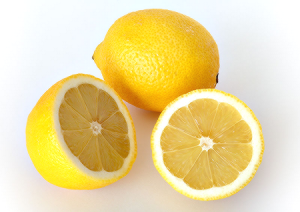 ii) Begin your day with the juice of a lemon or lime squeezed into a glass of water. iii) Start sprouting your own seeds and add them to your meals. vi) Introduce one or two vegan meals a week, focusing on vegetables, salads and a pulse such as lentils. vii) Start drinking one glass of fresh juice per day. Try blitzing 3-4 Carrots, 125g Fresh Spinach, a handful of parsley and 2-3 Sticks of Celery. You can add apples at the beginning of your juicing experience until you get used to the taste of juiced greens. viii) Have a salad with your main meal of the day and include one or two items from the ‘superfoods’ list above. Have you ever experimented with a high alkaline diet? How did you feel?